Hint: It doesn’t have anything to do with a trendy gown, expensive cake, or splashy location. Weaving sentimental moments and other details from her past into her modern-day wedding is a must for McCarthy and for many other millennial brides looking to add personal significance to their big day. 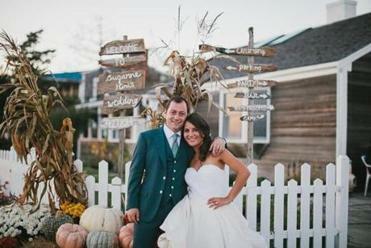 “Just a few years ago, it was dream weddings and all about the bride,” says Amy Kimball, owner of the Boston-based event planning company that bears her name. Millennials care less about opulence and more about incorporating elements of nostalgia and emotion, she says. 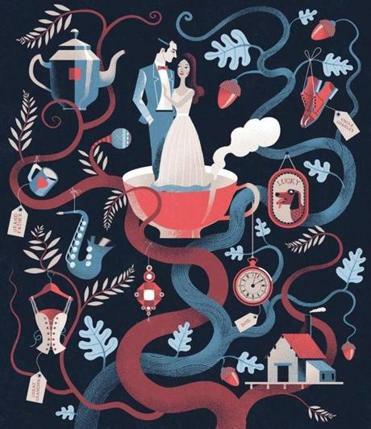 For McCarthy, the connection to tea and her grandmother became a natural wedding theme when Gorczyca proposed during breakfast last May. As she sipped from her mug, the words “Good Morning, Beautiful. Will you marry me?” appeared inside. “He knows I don’t finish my tea, so he didn’t put the words at the bottom of the mug,” says McCarthy, who plans to give her 200 guests mugs as a wedding favor. To welcome family, Jean Wang and Nick Nelson arranged for a version of the traditional Chinese wedding tea ceremony as part of their celebration at the Lenox Hotel last June. With help from family and friends, this spruced-up Wellfleet beach house is the perfect spot for a rustic celebration. 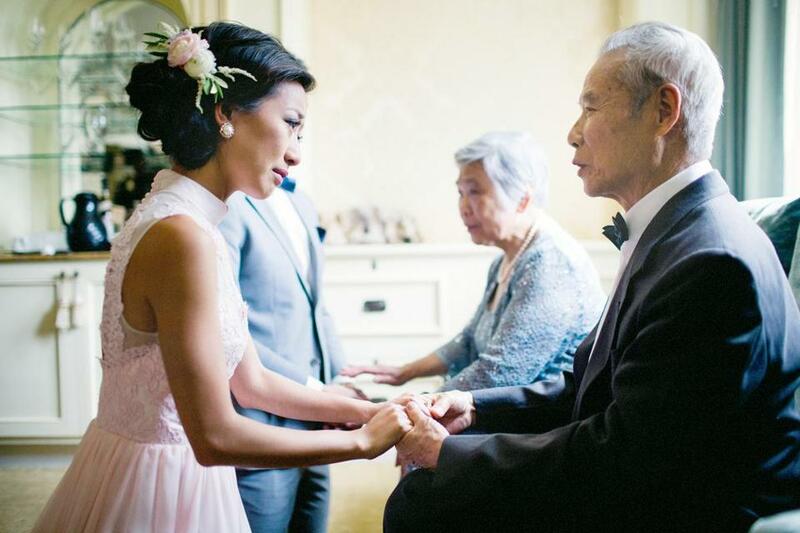 It was the traditional Chinese wedding tea ceremony that Jean Wang and Nick Nelson wanted to include in their nuptials, but the Boston couple arranged for a modified version for their celebration last June at the Lenox Hotel. “We made it a little bit shorter, and we didn’t wear red brocade silk [the color representing luck and prosperity]. We just took our own spin on that,” says Wang, who wrote about the event on her fashion blog, Extra Petite. Wang, now 28, wore a customized convertible dress with removable mandarin collar while Nelson, 30, sported a suit. The couple served tea to both sets of parents as well as Wang’s grandparents and aunts and uncles who had traveled from China. 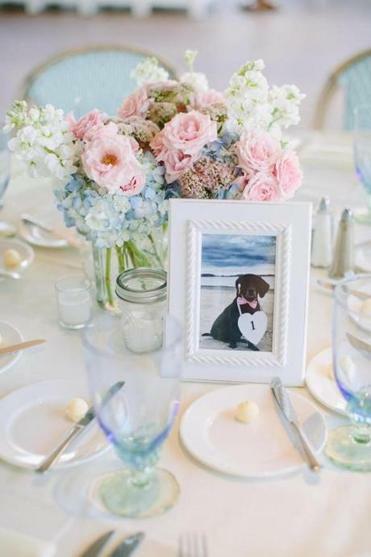 Annie Schneidman and Matt Coleman took photos of their dog, Lucky, for the table numbers at their Chatham Bars Inn reception. Jennifer Pabian and Jonathan Wirt will be following Kay’s advice at their July wedding at the Fairmont Copley Plaza in Boston. Pabian, who grew up in Sharon and now lives in Brooklyn with her fiance, plans to celebrate her close family ties with small details built into the ceremony and reception. She asked her 83-year-old grandmother, Marcia Bigney — who had cancer when Pabian was born and vowed to survive it so she could dance at her granddaughter’s wedding — to tell her story at the pre-ceremony signing of the ketubah (the Jewish marriage contract). A jazz group will play during cocktails in honor of Pabian’s grandfather, a saxophonist who died in 2000. Wirt will wear Pabian’s grandfather’s wedding ring during the ceremony, and Pabian will wear her great-grandmother’s gold ring. Some details will be barely visible. Most of the 175 guests, for example, won’t see that the bustle on Pabian’s wedding dress includes a piece of her mom’s wedding veil. But they will notice a wall of photographs featuring wedding pictures from the bride and groom’s parents and grandparents. Jill Radsken is a fashion writer in Boston. Send comments to magazine@globe.com.